Church. 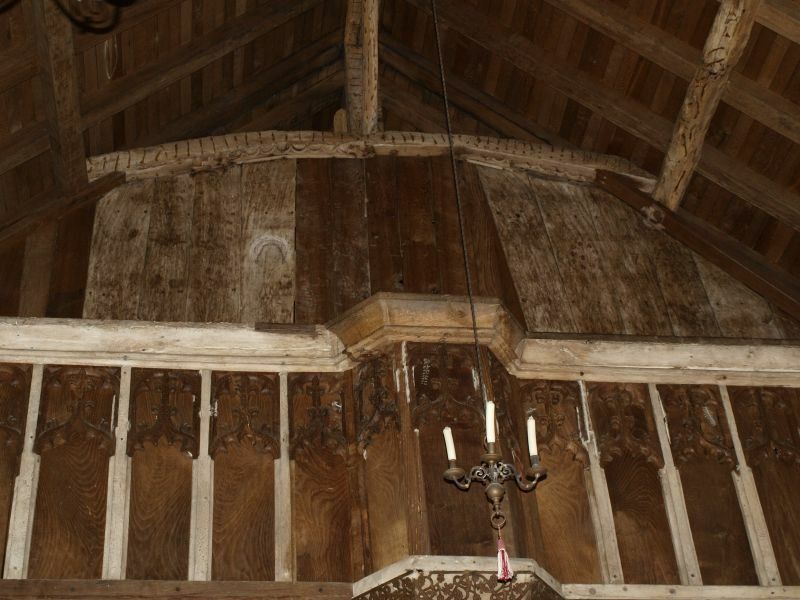 Mid C12, early C13, C15, restored 1883-4 by J. L.
beyond with 3 round headed lights and rectangular hood mould. continuous central mullion flanked by 4 cusped mouchettes. left with brass monument inserted to Anthony Butler, died 1673.
north-east window of nave with coat of arms and date of 1597.
and loft in Lincolnshire. Quiney, pp. 247.